Apple is pulling out of a partnership with Imagination Technologies, the British company behind the graphics technology used in iOS devices, with Apple's decision to stop using Imagination's intellectual property within two years prompting the UK firm's shares to plunge in value by more than 60 percent. Imagination was advised by Apple that it will stop using the firm's intellectual property in new products in 15 months to two years time, a statement from Imagination reveals. The change means a significant reduction in revenue for Imagination, as it will not be eligible for royalty payments under the current license and royalty agreement. Apple's license fees and royalties represent revenue of 60.7 million ($75.8 million) for the 2015-2016 financial year, Imagination advises, which are expected to rise to approximately 65 million ($81 million) for the year ending April 2017. Apple's decision caused Imagination Technologies Group PLC's share price to fall dramatically on the London stock exchange on Monday. At the end of trading on Friday March 31, Imagination shares were valued at 268.75p, but dropped down to just 84p shortly after the markets opened on Monday morning. At the time of publication, the share price has risen slightly to 102.5p, but this still represents a drop of over 61 percent from the end of the previous trading session. Imagination is the creator of mobile graphics processing architectures, most notably its PowerVR architecture, which is used in a number of smartphones, tablets, and other compact devices. Apple uses the company's architecture in many of its products, including iPhones, iPads, the Apple TV, Apple Watch, and iPods. Last month, Imagination revealed a next-generation GPU architecture called PowerVR Furian, a power-efficient architecture that will apparently better serve virtual reality and augmented reality applications. The first GPU core variants based on Furian are likely to be announced in mid-2017, with products using Furian GPUs potentially shipping by the end of 2018. The move away from Imagination may be part of an attempt by Apple to take more control over the design of its hardware. Apple was said to be in talks to acquire Imagination early last year, though ultimately no such deal was made. Apple has also taken time to poach a number of Imagination's staff over the last two years, including GPU architects and designers. These employees could help Apple to produce its own graphics architecture, potentially saving it from having to pay royalty fees to Imagination for using its intellectual property. According to Imagination's statement, Apple has asserted that it has been "working on a separate, independent graphics design in order to control its products." Imagination is also seemingly suggesting there could be a legal fight in the future over the in-house graphics architecture move, declaring Apple has not presented any evidence to substantiate its assertion that it will no longer require Imagination's technology, without violating Imagination's patents, intellectual property, and confidential information. While evidence has been requested by Imagination, Apple has declined to provide any to the company. 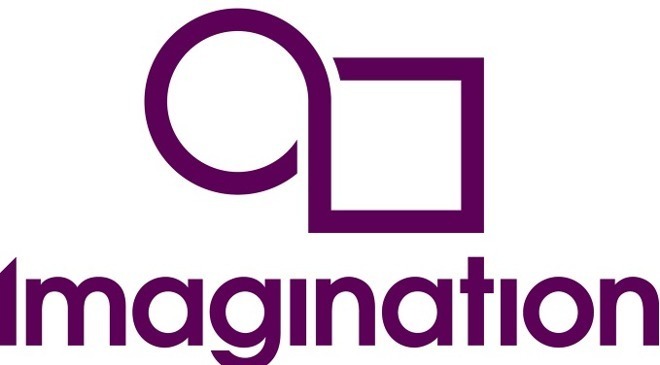 Imagination believes that it would be extremely challenging to design a brand new GPU architecture from basics without infringing its intellectual property rights, so in the statement about the matter, Imagination does not accept Apple's assertions. The company has also attempted to discuss potential alternative commercial arrangements with Apple for the current license and royalty agreement.